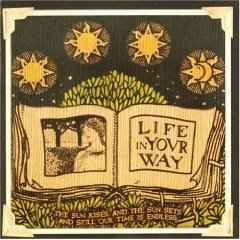 Manchester, CT's Life in Your Way was first formed in 1999, but underwent numerous personnel changes while refining their songwriting style over the ensuing three years. 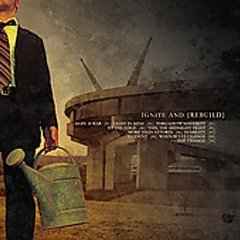 In 2002 they self-released an EP entitled All These Things Tie Me Down, then hooked up with Indianola Records for a pair of albums, 2003's The Sun Rises and the Sun Sets and Still Our Time Is Endless and 2005's Ignite and Rebuild. 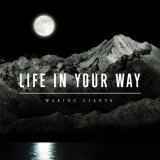 Spawned from the same fertile Northeastern grounds as metalcore giants like Hatebreed, Killswitch Engage, Unearth, Converge and Coheed & Cambria, Life In Your Way is the latest and greatest band to carry the flag for righteous rock and spirit-filled lyrics. "There is nothing better than to be into what your friends are pouring their lives in," says vocalist Joshua Kellam. "The most important bands to us are our friends bands -- One Dead Three Wounded, The Risk Taken, [and labelmates] August Burns Red." 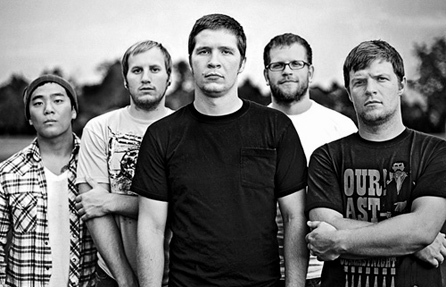 Waking Giants (2007), was the bands next release. Guitarist Dave Swanson came up with the album's title, which Josh says is about how "we all have giants inside that can and were made to do great things. We tend to put them to sleep more than what we are called for. The world is full of pain and sorrow that should not be overlooked. Basically, we all have the ability to focus on meaningful things that we can put time, money or whatever in to. We so often don't." "I hope we can make a difference in a scene that is dark and self- motivated," Josh says. "If we can be known for the good music that we make and that we stand for something at the same time, it will all be worth it."